The story of Operation Racoon City is one of unceasing woe. Remember that old rumour about Resident Evil spin-off Operation Racoon City shipping with Star Wars Battlefront 3 assets on disc? According to game director Andy Santos, who now serves as head of design and production at JCB Pioneer: Mars developer Atomicom, that’s true – and it’s what killed Operation Racoon City developer Slant Six. “Yeah, there were Star Wars assets on the Operation Raccoon City disc. That led, unfortunately, to our new game being cancelled,” he told Game Watcher. This new console game was to have been published by Capcom, which had been very happy with Operation Racoon City’s performance in Japan. “We might have got a few terrible review scores, but it was number one in Japan. After making this number one game we got our second game cancelled because of these Star Wars assets being on the disc,” Santos continued. Many Resident Evil fans blamed Slant Six for Operation Racoon City’s action focus, but that’s what Capcom wanted and continued to pursue. Elsewhere in the interview Santos expands on Capcom’s decisions there, so Resident Evil faithful will want to click through, read on and get angry. 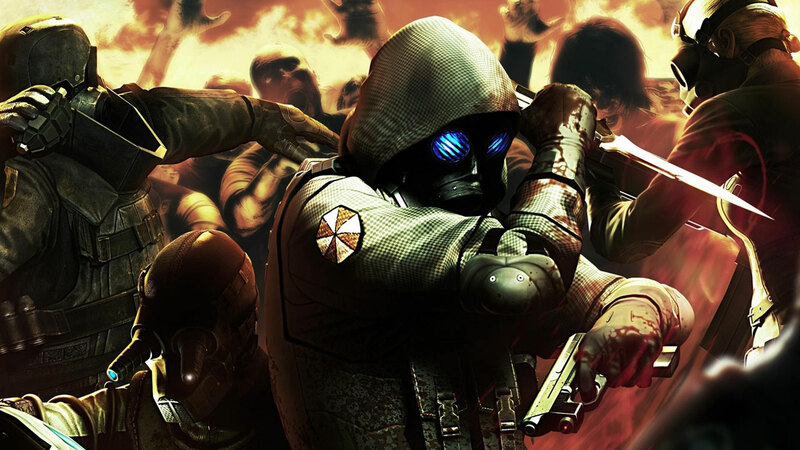 Released in March 2012, Operation Raccoon City absolutely bombed in the west, receiving very poor reviews and becoming something of a laughing stock despite attracting a small number of happy players. Slant Six, which had previously produced a couple of SOCOM games for Sony and weathered LucasArts changing its mind constantly about Battlefront 3, never really recovered, and did not sign another triple-A publishing deal. It ended up cutting its staff by 25% in June 2012 and making further lay-offs in April 2013. It produced a couple of mobile games after Operation Racoon City, and then closed in June 2013. Resident Evil 6 released seven months after Operation Racoon City and was widely criticised for its action leanings, while 2016’s Umbrella Corps was perhaps an even worse attempt than Operation Raccoon City at transposing the survival horror IP into the online action space. Since Resident Evil 7 was so good we had hopes Capcom’s finished with its nonsense now, but the horror sequel failed to hit sales targets, so we’re glumly anticipating further ill-considered experiments. What would you like to see from the Resident Evil franchise in the future?